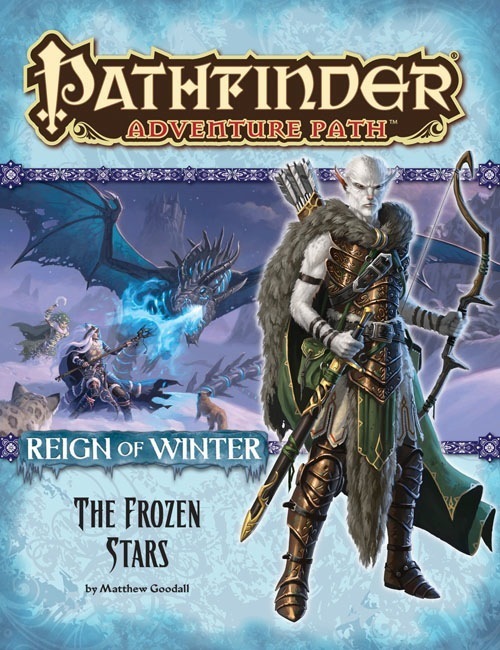 “The Frozen Stars,” a Pathfinder RPG adventure for 10th-level characters, by Matt Goodall. A special double-sized gazetteer of Triaxus, a strange planet of dragon-riding warriors and seasons that last for generations, by James L. Sutter. A look across the Bone Bridge and into the terrifying secret of Irrisen’s magical dolls, by Kevin Andrew Murphy. Four exciting new monsters, by Adam Daigle, Amanda Hamon, and James L. Sutter.